One of my customers, a large manufacturing company in the North of England, asked me for help in troubleshooting the poor response of their new intranet site. The site would be used by their six thousand employees around the country to manage HR policies, facilities, security, and company information. The site had been built over several months, staged, and tested with consistently poor results. 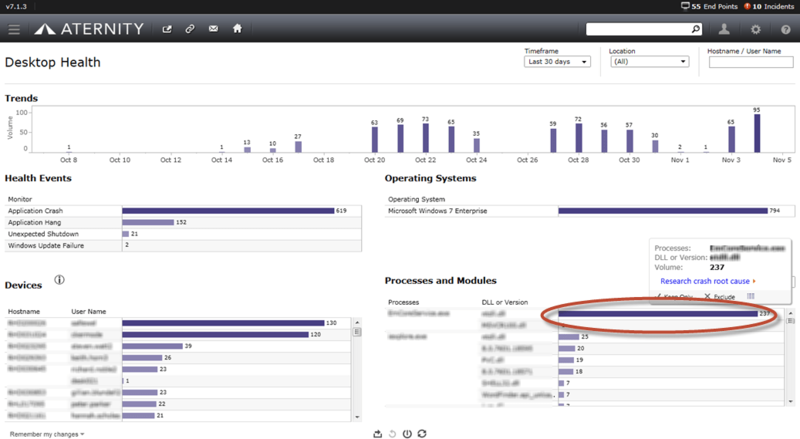 User experience was persistently slow, and my customer needed help in using Aternity to analyze and correct the problem. One of my favorite Aternity root cause analysis techniques is the ‘5 Whys,’ a process often associated with process improvement methods like Six Sigma. 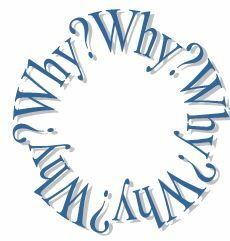 5 Whys is a way of repeatedly questioning a situation to get to the nub of it. It’s like a small child asking ‘why?’ to every answer you give them. The only difference is that with 5 Whys, the questioning is not annoying and does not go on forever. Aternity is well suited to this approach, as our dashboards and reports highlight any correlation or covariance between data and find patterns within other patterns. You can use the 5 Whys technique for pretty much anything, even to explain the benefits of using the 5 Whys. 1. ‘Why 5 Whys?’ I hear you ask. Well, the first time you ask the question ‘why,’ you normally don’t get a real answer, you just get a statistical correlation. Although these are answers, they are not THE answer. The obvious answer is seldom good enough to solve the problem. 2. ‘Why isn’t the obvious answer good enough?’ Although the first answer is factually correct, it does not allow us to remedy the situation as we still don’t know the cause. Asking ‘why’ once gives you an answer, but asking more times gets to the heart of the issue. 3. Why do you want to get to the heart of it? If we can get to a point in our problem analysis where we can create an actionable plan, we can actually do something about it. Now we’re getting to an answer that is actionable rather than merely interesting. 4. Why do you want actionable answers? Well, unless things change, we’ll still be facing exactly the same situation as before. 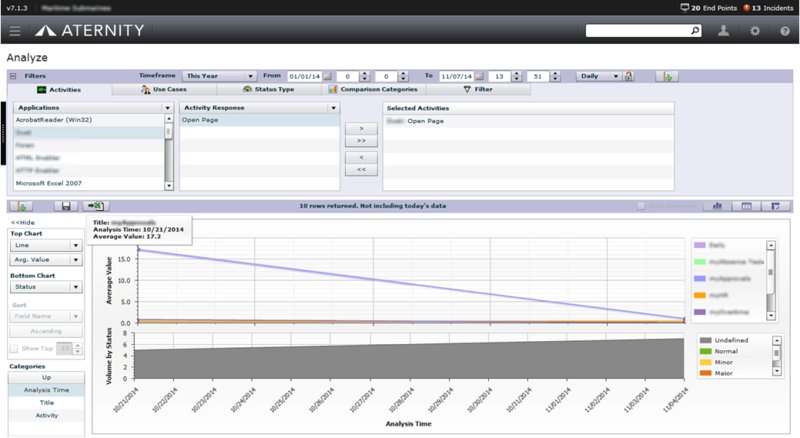 The dashboards in Aternity Workforce APM are built to support problem analysis techniques like the 5 Whys. 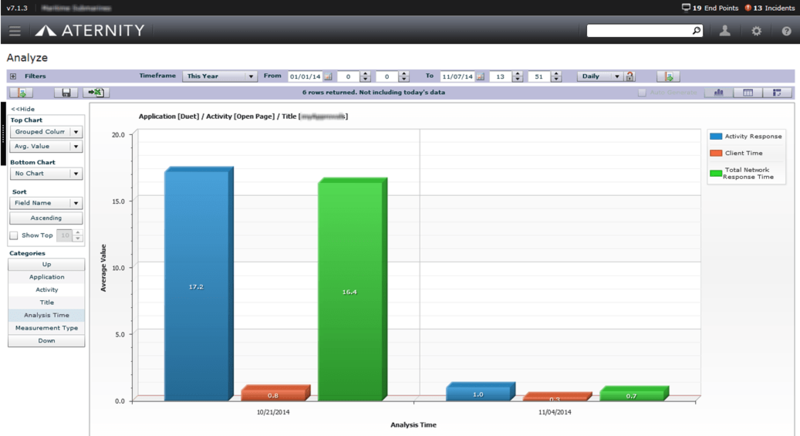 Aternity’s dashboards enable you to start from high level views of the impact of application performance on workforce productivity, or enterprise-wide adherence to SLA targets, then dive down into the details of application or device performance to investigate the cause. Please Note: The Screen Shots below have been blurred in certain areas to protect sensitive data. To help my customer find and resolve the cause of their slow intranet performance, I used Aternity Workforce APM to repeatedly question each statistical correlation until we could build an action plan to improve it. Why was the intranet launch delayed? Initial testing had highlighted slow responses and a poor user experience. I used Aternity to validate that response time was not only slow, but also quite variable. Some pages took 17 seconds to display on users’ desktops whereas others were quite fast. Why was page performance so variable? As a portal, the intranet site was comprised of a mixture of static information, pages coming from other internal sites, content from external sites, and active content such as holiday requests. 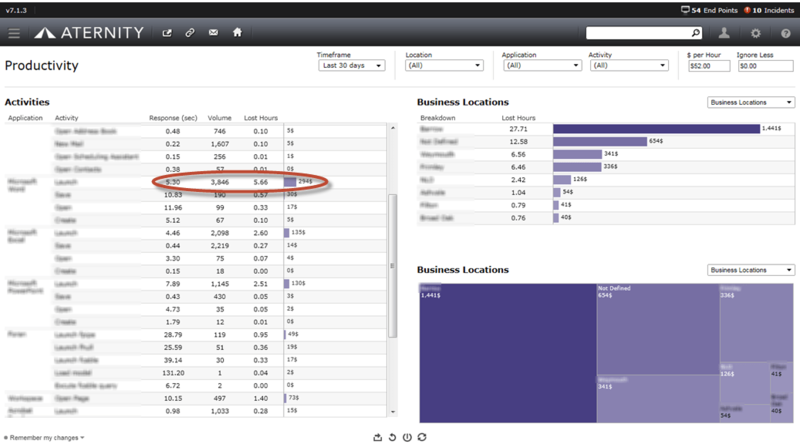 Using Aternity, I could identify fast and slow pages and correlate them with the servers that provided the information. So, after only 2 whys, we had got our arms around the magnitude and severity of the issue and could clearly see that the issue was limited to a subset of the pages which were coming from a few specific servers. Why were these specific pages slow? Using Aternity, I could see that slow performance for these specific pages was due to time spent waiting for a specific ASPX page on one server, rather than time required to render the page on a user’s device. This proved that there would have been no benefit from investing in higher specification PCs and laptops for everyone, since that’s not where the problem lay. Why was the ASPX slow on the server? The developers, who had previously been stumbling around in the dark trying to address anecdotal stories of random poor performance, now had a very clear focus of exactly where the problem lay, allowing them to identify and correct the configuration conflict. By doing so, they lowered page response time from 17 seconds to less than 1 second. The improved user experience of the new intranet site meant it could be rolled out to production. 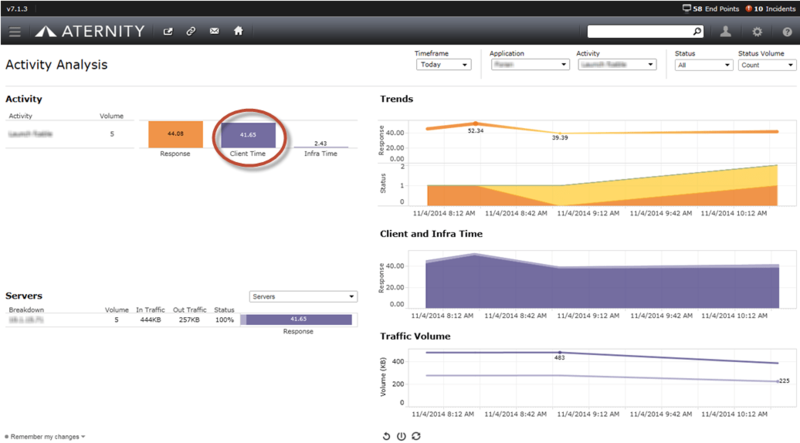 Response time improved from 17 seconds on October 21 to 1 second on November 4. 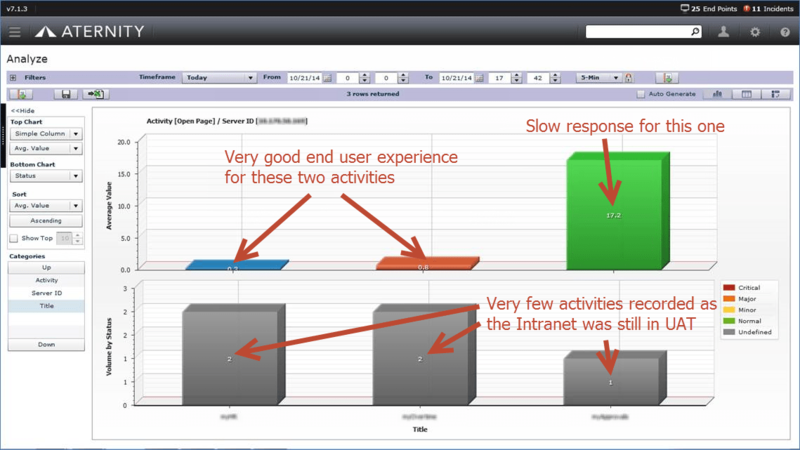 Aternity showed the correlation between user experience and the delayed launch of the new intranet, identified the slow pages, proved that all of the slowness was on the backend and highlighted the file and server that needed attention. This case required only 4 Whys, not 5. The number doesn’t matter, so long as you go beyond the first ‘obvious’ answer. If you’re experiencing problems similar to the one I’ve described, you can register for a free product evaluation of Aternity Workforce APM today.